Jamie Foxx can actually choose movies he plays with very carefully, and hence we have seen him in wonderful movies like “Collateral” and “Ray”, but I can promise that he chose him wrong. 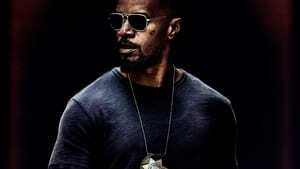 Jamie Foxx plays Las Vegas police, Vincent Downs, working undercover to expose corrupt police and mafia controlled casinos. An attack goes awfully wrong and Down’s teenage son is kidnapped by a violent gangster. Certainly, the movie delivers wonderfully fast-paced action scenes, has been driving in history with good conduct and good performances from a vast array of actors. But despite this, this film is in the safe direction and never dares to take out the turns.